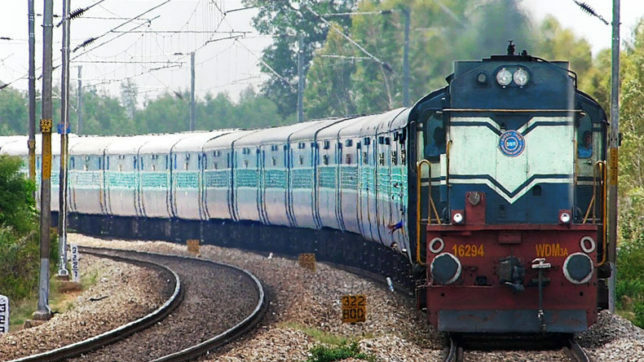 New Delhi, Nov 27: It will cost about Rs 11,000 crore ($1.7 billion) to increase the train speed up to 200 km per hour on the Delhi-Chandigarh route so that a passenger can travel the distance in two hours, according to the draft final report submitted by SNCF, the French railway, to Indian Railways. The 245-km Delhi-Chandigarh corridor, one of the busiest routes in north India, is slated to be the first semi-high speed project being taken up by the state-owned transporter to run trains at maximum speeds of 200 kmph with French help. The 1,700-page detailed report will be taken up for finalisation in Indian Railways on Monday for preparing tendering documents and drawing out an action plan as a way forward. French President Emmanuel Macron is expected to visit India in January 2018 when the project will be formally launched. The railways will sign a MoU with SNCF next year expanding the scope of cooperation in the rail sector, including training of drivers of semi-high speed trains and safety and security of train networks. The total travel time will be 2 hours and 2 minutes at a maximum speed of 200 kmph with two stoppages at Panipat and Ambala, according to the report. Currently, the Shatabdi Express covers the distance in about three hours and 30 minutes travelling at a maximum speed of 110 kmh. SNCF has submitted the execution strategy and implementation model with detailed project cost involving an upgrade of the the route with details of cost analysis and technical parameters. The report has pegged the total estimated cost at Rs 11,218 crore, which includes the cost of signals upgrade, main civil works and rolling stock among others. Senior officials from both sides will examine the report and a final cost will be decided after the discussion on Monday, said a senior Railway Ministry official. There will be re-alignment as there are about 20 major curves spanning over 32.7 km on the existing Delhi-Chandigarh rail route. However, there will be no acquisition of fresh land for the re-alignment as it will be done within the Railways right of way. Beside Delhi-Chandigarh, there will be upgrades of seven more routes totalling about 4,000 km, including Mumbai-Goa, Chennai-Hyderabad, Mysuru-Chennai, Delhi-Kanpur and Nagpur-Secunderabad. The Delhi-Chandigarh route is expected to be a demonstrative project by France.